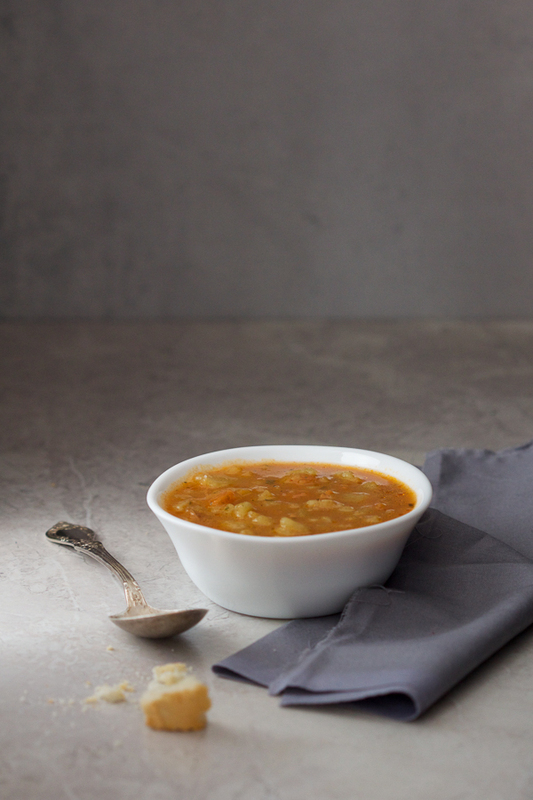 Here’s a fantastic potato soup recipe! 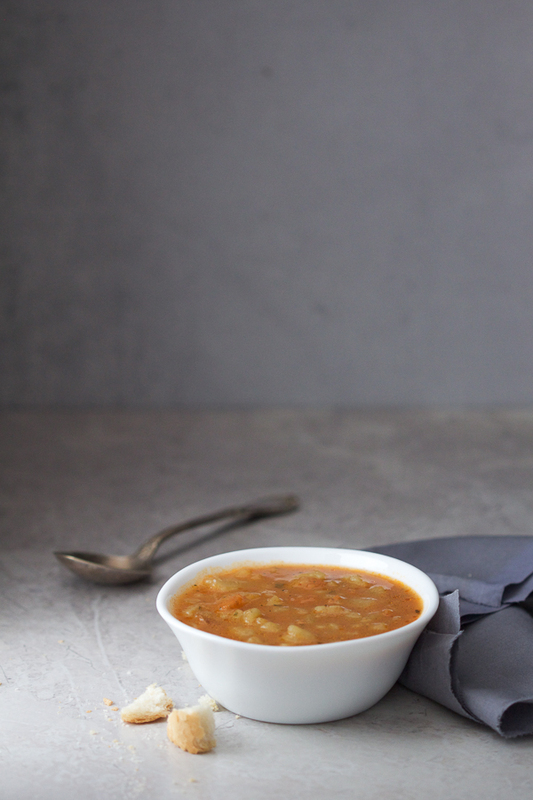 This one is so rich and thick, it can easily become a meal of its own when accompanied with a big chunk of bread. 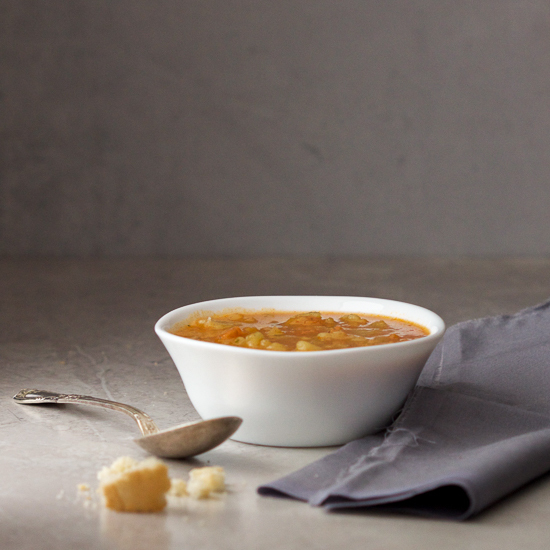 You know I’m crazy about soups. Without soup my meal is incomplete. (I also love the minestrone, traditional Bey’s soup, as well as the classic chicken soup with noodles made out of grits.) Most people feel this way about a side salad. But you also know I don’t care about salads. So today, we do another soup together. 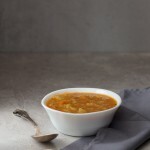 The (obvious) main ingredient is potato (along with onions and carrots), cut into tiny cubes, simmered to perfection in the warmest, most comforting way, and finished off with a little bit of heavy cream to seal in thickness. You may think the soup is thick enough without the cream so feel free to skip it. But what I insist on is that you dice – almost mince really – potatoes into smallest cubes you can. It’ll make all the difference. Peel and dice potato into very small cubes. Add to the pot together with one cup of water. Continue simmering on medium to low, adding water as necessary. Add spices in and mix thoroughly. Continue cooking and adding water for another 30-35 minutes, until the potato is soft, but not too soft. 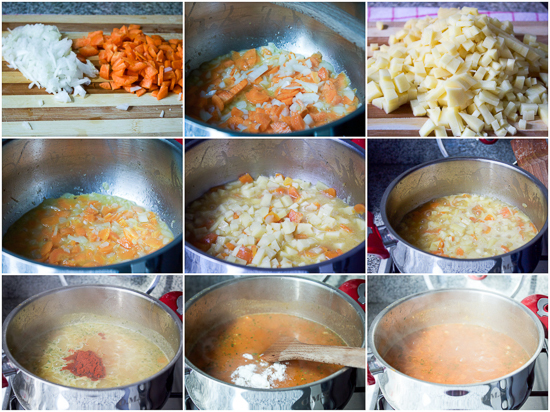 A few minutes before the end, add flour to thicken the soup and mix thoroughly and quickly. (Optional) Add heavy cream also, if you prefer an even thicker soup.